TAKTIK Logistics Group, Inc. provides a competitive edge by supplying a complete end-to-end suite of Supply Chain and Logistics Services. 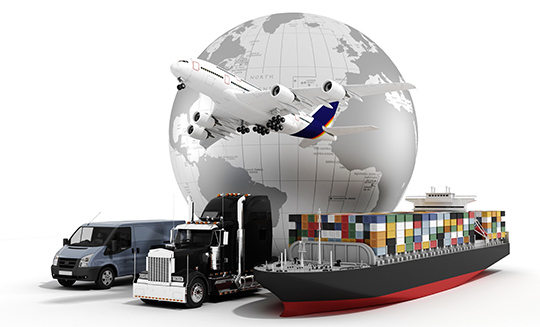 No matter the freight or mode of transportation, we have a service for you: Full Truckload (refrigerated/dry), Less Than Truckload (LTL), Intermodal Flatbed, Domestic/International Air Cargo, Expedited Services, Customized Logistics IT Solutions. Our services are designed to ensure our customers' cargo is safe, visible, and gets to the final destination on time. We are committed to making sure that we closely communicate and build solid fundamental relationships with shippers/receivers & customers. In order to do that, we need to listen to your needs and to be able to create a logistical program unique to your freight and expectations of success in transporting it. We're confident that we can do that. We hire the best people available and train them like no other company does in the logistics business. We are staffed with an experienced team of full truckload specialists that are able to coordinate the shipment of your freight even if it includes multiple stops on the pick or delivery. Given our background in nursery stock and produce, we are prepared to accurately route a multiple pick or stop load that maximizes the sense of urgency while keeping in mind the most cost efficient route. Less-than-truckload (LTL) freight makes up the majority of freight shipments in North America and there are multiple types of trailers with different capacities. With Less-Than-Truckload freight, you are able to "share" the truck space with other customers. This strategy proves to be a much more economical when you don't have a lot of freight to move in a single shipment. Intermodal or rail plus truck service creates efficiencies in your supply chain by providing more equipment options, greener miles, and often, a lower priced alternative to truck transportation. In certain lanes, intermodal also gives you the most effective combination of rates, service, trailer size, and model all configured to meet your exact requirements. Your time is limited and therefore you are unable to make multiple calls, looking for flatbed equipment. Make a quick call or send an email to TAKTIK Logistic Group and you'll get your day back. Meanwhile, our flatbed experts will coordinate the details. You can relax, knowing that our extensive understanding of flatbed's special requirements and deep experience can get your freight to the customer, right on time. Shipping by air means on time delivery is a top priority because your customer needs it now. With unmatched access to domestic air capacity and dedicated teams of experts at the ready, We are a leading provider of same day air service. When other providers turn away your expedited shipments, you can count on our proven ability to execute. Do you need your freight delivered yesterday? While we can't turn back the clock, our time-critical team offers fast turnaround times for your most urgent shipments. You'll get a range of scaled options quickly, so you can choose the one that's right for you. TAKTIK Logistics Group was founded in 2015 and within 2 years has become one of the nation's leading transportation and logistics companies. Our headquarters are located in the San Francisco Bay Area town of Pleasanton, CA near the heart of business and technology in Silicon Valley. The company began business in the transportation of temperature controlled goods such as produce, frozen, floral & nursery but has since grown to include a full service of transportation solutions such as dry truckload, Less than Truckload (LTL), Intermodal, Expedited, International/Domestic air cargo & Flatbed freight. Since timing and visibility is such an important factor in the hauling of temperature controlled goods, the founder of TAKTIK envisioned a logistics company that was able to provide the highest level of customer service while bringing in the most up to date technology to give customers access to their freight 24 hours a day/7 days a week to all types of freight, no matter the urgency, no matter their special needs. Thru the development of a proprietary web based platform and partnerships with like-minded transportation management technology companies, TAKTIK Logistics Group has created a way to allow customers greater visibility, business analytics and control of the their freight costs through these technology tools.